Coming from Tel-Aviv, Israel is our shop this week: Artis Everything. Featuring creations by Iris, a graphic designer, the shop includes wall clocks, business card holders, coasters, jewelry racks and more. 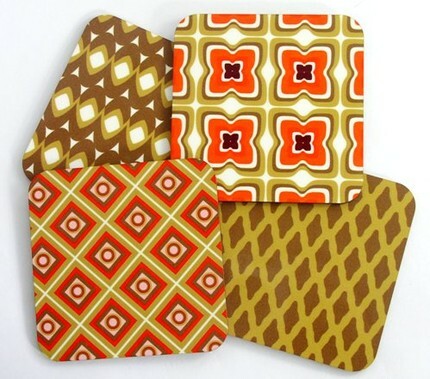 All patterns and products are originally designed by Iris using melamine in a technique unique to her shop. All products can be custom designed to add your name or logo if so desired. Not your average wall clock, this will make a beautiful addition to any room. Fully functional, but oh so cute these coasters would make a great gift for a housewarming gift, or as always for yourself as well! 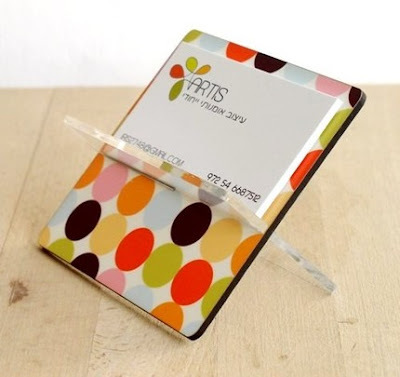 Add a fresh pattern to your home or office desk with this polka dot business card holder. 1. Check out Artis Everything. Come back and comment on your favorite item(s). I am a blog follower! I also had to say that I LOOOOVE her business card holders, gorgeous! That clock is so creative! You really find some mind bogglingly talented folks on your Etsy searches! 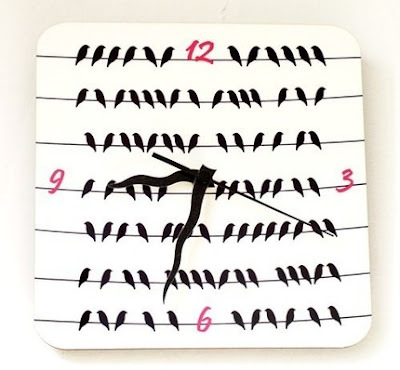 That clock with the birds is so awesome! I also love theBusiness card holder with the popart flowers! I love following your blog because you show such creative etsy sellers! 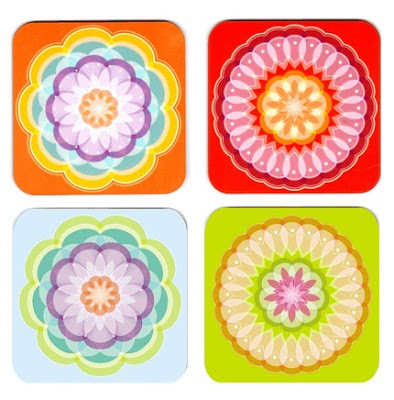 Thank you Heather and all the followers of your blog for your great comments.its very wormhearting to read this.I hope the winner will find a set of coasters he/she will like.I will be very happy to ship them there giveaway.I am inviting all of you to visit my shop,I have always new fresh designs.thank you. Intense Guy-Isn't it! So cool and there are many other designs as well! Thanks, I am always appreciative when such cool artists are willing to take part in my blog! Pamela-Thanks so much! I love meeting the people behind such great shops and I really enjoy bringing them to you all!